Last week I talked about the (then) upcoming surprise character appearances at the Magic Kingdom as part of Mickey and Minnie's Surprise Celebration (for their 90th birthdays). Well, last Friday saw the first day of the daily fun at the Flagpole in Town Square, and I was there everyday to see who came out! From what I understand from talking to cast members who were there everyday, these characters will remain the same for the foreseeable future, and even possibly until the end of the celebration in September. The days may change later on, just to make it fair to people who can't come on specific days of the week (because of work or school, etc), but the characters are likely to remain the same. Indeed, today, Nick and Judy are back in Town Square, as they were last Friday. Of course, as always with Disney, anything is subject to change at any moment, so we shall see what happens in a couple of weeks from now. 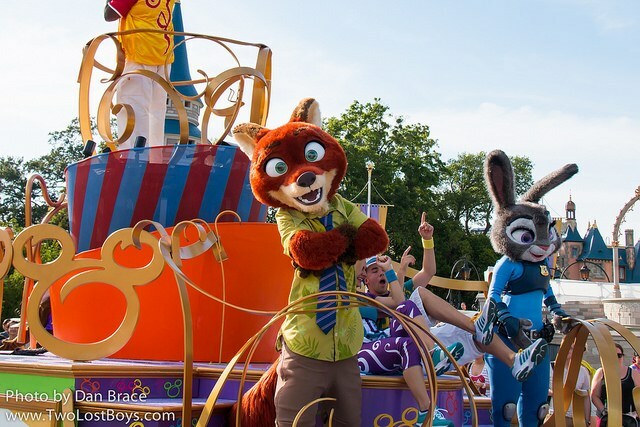 The characters that are a part of this new offering, so far at least, are: Nick Wilde and Judy Hopps (Zootopia), Phineas and Ferb (from their namesake TV show), Robin Hood, Little John, Friar Tuck and Prince John (Robin Hood), Chicken Little and Abby Mallard (Chicken Little), Remy and Emile (Ratatouille), and Gideon and J. Worthington Foulfellow (Pinocchio). Important! - At time of writing, the characters begin at around 11.30am (usually with a slight delay), and end around 2.30pm, daily. It should be noted that the park schedule and/or the WDW app has been listing characters off and on as being in Town Sq until around 4.45pm. We found this to not be entirely true, and when they did appear after 3pm, they would just walk around and NOT stop for photos. This evening I have a few things to share from the world of characters at Walt Disney World, Tokyo Disney Resort, Disneyland Paris and Hong Kong Disneyland. Let's start with Walt Disney World, where the Disney Parks Blog (DPB) yesterday confirmed that the new iCan Showbot will continue to greet guests in Tomorrowland at the Magic Kingdom until at least "late August" (DPB are as vague as ever!). It's a neat idea, and adds a little atmosphere to the area, much like the Citizens of Main Street and the Citizens of Hollywood - one could say a Citizen of Tomorowland! 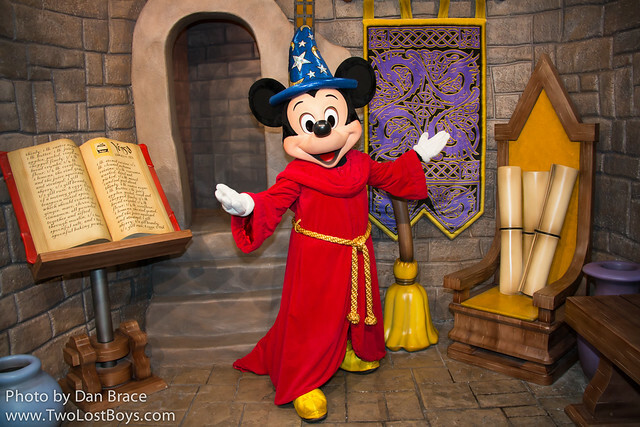 We will be at the Magic Kingdom in a few weeks time, after D23 this coming week, and will be able share photos of him once we see him. Staying with WDW, and today the DPB announced that Disney PhotoPass Day would return to resort on August 19th, and will be, in their words, "even bigger than last year’s inaugural event. [Y]ou can expect to find numerous event-exclusive Animated Magic Shots, even more one-day-only Character Experiences, and incredible photo locations at all four theme parks!" Last year's appearances included Pinocchio, Gideon and Foulfellow in Storybook Circus, Mushu and Mulan in China, Snow White and Dopey in Germany and the Queen of Hearts in the United Kingdom. 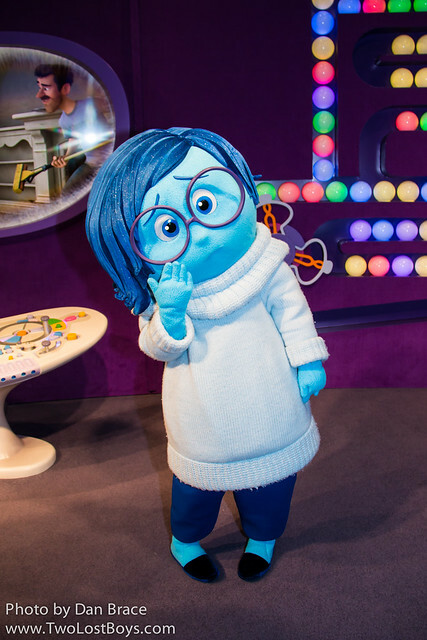 Over in Disneyland Paris, today the resort hosted the second of its "Guest Star Day Parade" pre-parades, which today starred Joy and Sadness from Inside Out. Last week was the first event, and featured Nick Wilde and Judy Hopps from Zootopia. The event is designed to celebrate Disney characters from the wonderful world of Disney, in order to commemorate the new Mickey Mouse Club series coming to Disney Channel later this year. It is not announced who will be there every Tuesday, and as of yet has no end date - so catch it while you can! Our friends at Characters Photos Blog have photos on their Facebook page from today and last week, if you want to check it out (click here). 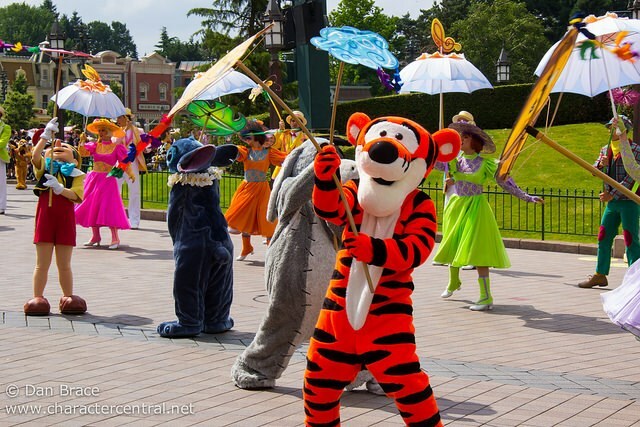 Tokyo Disney Resort started its summer event, and while we have known for some time what it would be (they announce things very far in advance in Tokyo), it has been interesting to see the photos on social media. Captain Jack Sparrow and Captain Barbossa take over the port in Tokyo DisneySea, soaking guests with thousands of gallons of water daily, and in Tokyo Disneyland see Mickey and friends in the more traditional Disney Natsu Matsuri. The ever-beautiful and ever-changing Dreamlights also just got its most recent upgrades, with the new Cinderella, Beauty and the Beast and Frozen floats joining the procession. While we don't have photos of our own just yet, you can easily search any social media page for lots of photos of all these events, or visit the most recent DPB post about it all, here. Finally for today, Hong Kong Disneyland are hosting their second annual 10K marathon weekend, this year themed to Marvel. On September 16 and 17 you have the opportunity to participate in the Marvel 10K Weekend 2017 - Presented by AIA Vitality! There should be character appearances at the event, though it is not yet confirmed as to who. It should be noted that this event is not hosted by runDisney. That's all for today. Tomorrow we're off to Disneyland Resort in California for resort and d23 fun! Look our for all our live posts from the parks and the expo on our social media pages, such as Facebook and Instagram! This is a fairly large update today since there is a lot of news, which of course is a great thing for character fans! Let's start with the US parks, where at the Magic Kingdom, the Disney Parks Blog today gave an official opening date for the new Muppets show coming to Liberty Square (which I discussed here on the blog last month). The 2nd October is the official start date, with Kermit the Frog, Miss Piggy, Fozzie Bear, The Great Gonzo, Sam the Eagle and a new park character named J.J. Jefferson making appearances in several shows daily. I still find it interesting that they have decided to debut this in the Magic Kingdom, when they have made an effort to convert a part of Hollywood Studios to the "new" Muppets Courtyard, including turning Pizza Planet into a new Muppets dining location. Nonetheless, it will be neat to see the Muppets out in the parks again, and it is always great to have new character entertainment. 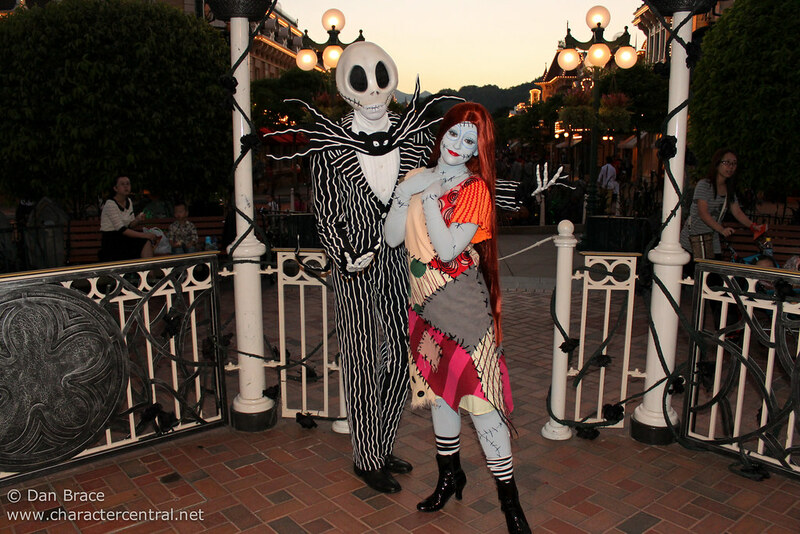 On the West Coast, at Disneyland Resort, they have been holding AP Days at DCA, which have featured character appearances exclusively for annual passholders. Running from 6th September until 2nd October, you could meet Wizard Donald and Skeleton Goofy (from 6-18 September), and Pocahontas and Meeko, and Patriotic Minnie Mouse (from 19th September - 2nd October). There has also been a lot of cool merchandise and giveaway items, such as buttons, artwork, recipe cards and more. Disneyland continues to really give back to its AP holders, while WDW sadly leaves them feeling quite left out. Jumping westbound across the Pacific Ocean, we come to Tokyo Disney Resort, where we have the bulk of today's news. To start with, popular Tokyo Disney Resort fan site, TDR Explorer updated their older news post regarding the new Westernland Woodchuck meet 'n' greet (opening 22nd November) to include a first-look image of Donald and Daisy Duck. I can't use the image here because I don't know where they got their one from to start with, but nonetheless, check out their page - the outfits are amazing! We can't wait to see them there on our next visit! OLC, the operating company of Tokyo Disney Resort this week released all their parks entertainment information for 2017 and even the start of 2018! There were actually a few surprises, too. There was a lot of information, so I'm just going to cover the core character stuff here, but you should know that there was a lot about attractions, merchandise and food, too (which you can read about on sites that cover more general news). From 4th April through 14th June Disney's Easter will return to Tokyo Disneyland and Tokyo DisneySea. Tokyo Disneyland will get a brand new Easter parade that will feature Nick Wilde and Judy Hopps at the Japanese resort for the first time. Besides what sounds like giant Easter Eggs wearing bunny ears (really! ), no other details about the parade have been released yet. At Tokyo DisneySea the main harbour show doesn't specifically say it will be new, but instead that the characters will have new Easter bonnets; so you should expect that the show will be the same as this year. From 15th June until 7th July Disney's Tanabata Days will once again be celebrated, with the entertainment again being similar to previous years. Tokyo Disneyland will feature a cavalcade, and Tokyo DisneySea will have a show on the harbour. Both will feature Mickey and Minnie wearing traditional Japanese Hikoboshi and Orihime attire. For the summer season, from 11th July until 31st August, Disney Natsu Matsuri will return to Tokyo Disneyland. Again, the release doesn't specify that the event will be new, so while you should anticipate some costume and music changes for the main show at the castle, expect it (for now at least) to be the same as this year's event. At Tokyo DisneySea however, this year's event will not be returning, much to our sadness! Instead of the Disney characters in bright, colourful, fruit themed outfits (and Panchito and Jose riding a gigantic inflatable banana - yes, really! ), we are getting a Pirates of the Caribbean event, to tie in with the new movie being released in July. At the moment, the only details in the release are that Jack Sparrow and pirates will be in the show, but I imagine (knowing Tokyo) that the popular Disney characters will also appear - perhaps in pirate costumes? Last month I told you all about the new floats coming to Dreamlights at Tokyo Disneyland. Now, in this release, OLC have given the official debut date as 11th July - the start of the summer season. The brand new floats feature Frozen, Beauty and the Beast and Cinderella. The 11th July seems to be the date that a lot of things are changing at the resort, with yet another major announcement in this same release. The popular A Table is Waiting show, which replaced Over the Waves as a "sequel" several years ago will end on 17th March, and a brand new, as yet unspecified show, will begin on that same summer events start date. Halloween will return to Tokyo from 8th September until 31st October, and apart from some likely costume and music alterations, it sounds as though it will be the same as this year, with the Halloween Pop'n Live parade returning to Tokyo Disneyland, and Villains World returning to Tokyo DisneySea. This year was only the second year of Villains World and the debut year of this particular parade, so it is of no surprise that next year will be the same, since Tokyo tends to run on three year life cycles. As with Halloween, Tokyo's Christmas Fantasy (TDL) and Christmas Wishes (TDS) events sound the same as this year/last year, with the same parade (Disney Christmas Stories) at Tokyo Disneyland (which I anticipate will be its last year, since it will be the third year for it), and the same harbour shows at Tokyo DisneySea (A Perfect Christmas and Colors of Christmas). From 1st January through 5th January 2018 (yes, they are going that far ahead!) Tokyo Disney Resort will once again celebrate New Year with special events at both parks, featuring Mickey and his friends in traditional kimono. While they don't go into any further detail, the tiny images used are from this year, which show a parade at Tokyo Disneyland and a harbour show at Tokyo DisneySea. And that's not all! From 11th January until 19th March 2018, their popular Anna and Elsa's Frozen Fantasy event will return to Tokyo Disneyland, with the parade and castle projection show. Under the same date heading as the Frozen event, but dropped down a line for some separation - perhaps deliberately a little vague for now - OLC finish up the release with a really surprising announcement. A brand new PIXAR event will be coming to Tokyo DisneySea, that will feature character greetings and shows! Not only that, it sounds like Gelatoni may gain a larger presence in the park around the same dates, too, with hints of a new greeting ("photo locations where delightful keepsake photos can be taken") - but like I said, they are really vague about it for now. Wow, so that's everything for Tokyo! It is really exciting to have so much information about the next 18 months already, and we cannot wait to hear more details about everything. Finally for today, we come to Hong Kong Disneyland. While their Halloween season has already started, some of you may not be aware of how awesome it is this year! As well as having two entertainment offerings (one cavalcade, the other a mini-parade/show of sorts) which feature popular characters in cool costumes and the Disney Villains, they also have some really awesome villains out greeting, including Oogie Boogie! Others include the Big Bad Wolf, Captain Hook, the Queen of Hearts, Cruella de Vil, and Jack and Sally from The Nightmare Before Christmas. It is truly awesome to see Oogie Boogie making daily appearances, and the Big Bad Wolf in his regular outfit is pretty cool, too (he appears in Toontown in Tokyo often, but only in his "bling" outfit). That's everything for today! I have heard rumblings of character dining changes at Disneyland Paris, and of course their first ever runDisney event is this weekend, but I'll save those updates for next week, once I have more concrete information! We recently travelled to Shanghai Disney Resort for the first time, and I have been writing some massive updates here on the blog, which you can find the links for below. I shared my experience travelling to Shanghai, arriving at the airport, getting to the resort, and then visiting the Disney Store in the city. In part one of my main Disney report I shared with you all of our experiences at the two Shanghai Disney Resort hotels, Disneytown, and character dining at Lumiere's Kitchen. In this report I took an in-depth look at Mickey Avenue, with over 230 photos of all the details on the little entrance street to the park. In this report I took an in-depth look at the Gardens of Imagination, Mickey's Storybook Express parade, the Golden Fairytale Fanfare castle show and the Ignite the Dream nighttime spectacular, with over 210 photos of all the details. At the end of May Jon and I spent a week at Walt Disney World. We hadn't been down there since February since we travelled to Australia in the spring instead. You can read my currently-ongoing Australia trip report here on my Two Lost Boys blog. In this part of my report I will be sharing with you our adventures at the Magic Kingdom, Animal Kingdom, the resort hotels we stayed at and visited, the Boardwalk, and Disney Springs. I know it has been a while since I posted here. Life has a way of getting in the way, and I haven't had time to post as many updates as I would like. Having said that, for the eagle eyed among you, and those who regularly visit this site, you will have noticed that I have been updating many pages throughout the site, including changing character categories, moving things around, adding some brand new characters and locations, and other smaller items. So while the blog hasn't had much recently, I have been here, and Character Central still aims to be as on top of character happenings as possible! Let's begin with some news that was released by the Disney Parks Blog yesterday. Next week, on Thursday 16th June, Shanghai Disneyland officially opens to the public, following its rather extensive soft opening period. To celebrate, Disney California Adventure Park at the Disneyland Resort will be featuring Mulan and Mushu from 10am until 5pm. Mushu rarely gets out at any of the Disney Parks these days, and so it will be great to see him visiting California. 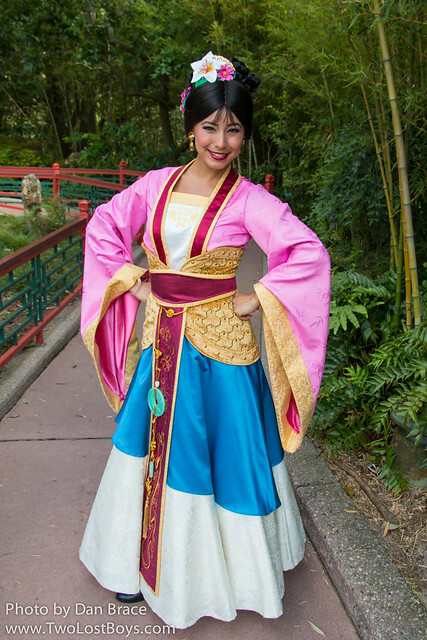 Pocahontas and Mulan got new outfits last week, and we were lucky enough to be at Animal Kingdom and Epcot the day they debuted! Take a look at their new looks below! Mickey and Minnie Mouse finally got a new permanent greeting location at Disney's Hollywood Studios, after several months of them moving from place to place, following the closure of the Animation Building. 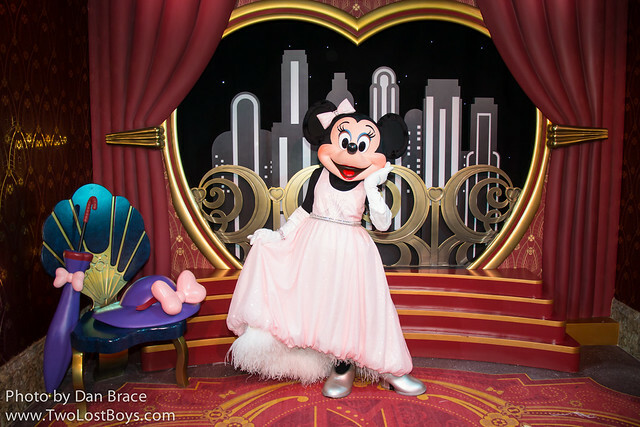 The new location is much nicer than anything previously, and Minnie even got a new outfit! Along similar lines, after what seemed like an eternity, Olaf finally started greeting his fans at Disney's Hollywood Studios, at the new Celebrity Spotlight location. Some people have asked us about some of the new characters appearing at the parks, and I can happily confirm that last week I was finally able to add Nick and Judy, Captain Phasma and Joy and Sadness to Character Central (click on the names to go to their pages!). Before I leave you with some of my photos of those brand new characters (there are many more on their respective pages! ), I want to just mention that in the next few days I will be making a blog post/guide to the character experiences at the brand new Shanghai Disneyland. While we are not visiting just yet and therefore Character Central won't feature the park until then (since we need photos - we have our trip booked though! ), I wanted to gather together all the information we know about character experiences at the new park, in one handy reference guide, until such a time when I can add the park to the website. In the next week I also will be writing my latest Walt Disney World trip report here on the blog. So stay tuned for both of those! Anyway, that's all for today. Be sure to scroll down for the photos of Joy, Sadness, Nick, Judy and Captain Phasma that I promised! The past week or two has seen a surprising amount of character news come out the Disney parks worldwide, so I have my usual round-up of everything, complete with sources! "Classic Disney characters are getting a Chinese re-styling for Shanghai Disneyland, with Minnie Mouse, Mickey Mouse and Donald Duck set to appear as old Shanghai stereotypes when the park opens in three months. Of the 7,000 souvenirs ready to debut at Shanghai Disneyland's opening on June 16, at least half were tailored exclusively for the park, said sources there on Saturday. Minnie will be dressed like a typical Shanghai beauty in the 1920s and 1930s, wearing a pink Chinese jacket and red embroidered silk sandals. "The dressing style was typical of ladies whose portraits appeared on calendars in every household 80 to 90 years ago," said Gu Zhengwei, director of Shanghai Disney Resort's commodity department. In Shanghai, Mickey will be a young man wearing a top hat and holding a stick, while Donald will appear as a middle-aged Shanghai man, good-natured but aloof." Obviously nothing is certain until the park opens, but I think it is interesting that, at least from this article, it sounds as though these costumes will be their "standard" dress in Shanghai, rather than the classic outfits we are used to seeing them in at the other parks. It's always nice to see new costumes for the characters in shows and parades, and we look forward to meeting them there! "Shanghai Disneyland will feature favorite Disney characters from Snow White to Luke Skywalker, under an entertainment program announced for the upcoming park on Wednesday. The stories of classic Disney princesses will be staged in the site's signature Enchanted Storybook Castle, said Matt Almas, the company's creative executive. Visitors will learn to draw Marvel characters and interact with the heroes and villains of the Star Wars universe in sci-fi zone Tomorrowland. Chinese elements will also be incorporated, Almas said. The final carriage of Mickey's Storybook Express, a train running through the park, will be dedicated to Mulan, an animated movie depicting a female war hero of ancient China. Each carriage will be based on a different Disney film. The Lion King musical will be performed in Chinese at the park's theater. Visitors will also join Donald Duck and Chip'n'Dale to practice traditional Chinese martial art Tai Chi." We already knew about the castle show, so that doesn't sound too surprising, and the same for the being able to "interact" (think meet) the Star Wars and Marvel characters. What is interesting though is the information about the parade, Mickey's Storybook Express. We have heard so very little about this parade so far, that it is interesting to hear something about it, and that it will include Mulan. The other interesting statement is the one about learning Tai Chi with Donald, Chip and Dale. This is the first time we have given any kind of information about smaller, potential "pop-up" entertainment around the park - everything so far has been very much focussed on the larger stage productions. It's nice to see that this new park will have random park atmosphere entertainment, too. It should be noted that the Lion King show that they mention is actually the broadway style show, and is located outside the park at an additional cost. Moving across the country to Hong Kong Disneyland, where spring season has started. 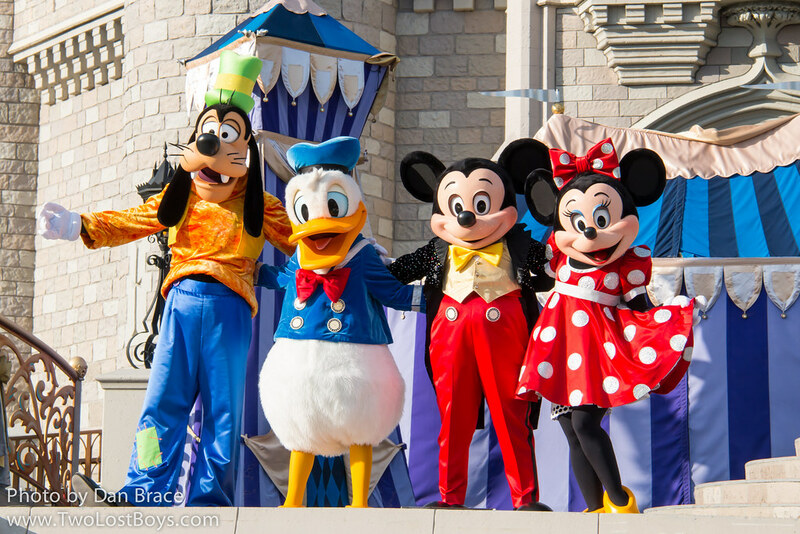 This year Mickey and friends are appearing in some unique outfits, that while don't scream spring to me, they are really cute and offer something different to guests visiting the park. I don't have any photos of my own to share, but a tag search on Instagram shows up some pretty decent images, as I discovered. Hong Kong Disneyland are also continuing to up their character offerings across the park with the recent addition of Princess Sofia and Baymax. You can learn more about the spring season and the new character greetings, here on the official HKDL page. Across the East China Sea, in Japan the immensely popular show, Big Band Beat, at Tokyo DisneySea has held its last weekend of performances. The newly reimagined show for the 15th anniversary of the park will open on the 15th April 2016, along with the new Crystal Wishes Journey show at Mediterranean Harbor and The Year of Wishes Greeting Drive at American Waterfront on the same day. Across the resort at Tokyo Disneyland, the new Polynesian Terrace dinner show that replaces Mickey and Minnie's Polynesian Paradise, opens tomorrow. The show will be presented up to four times daily, and is expected to feature Mickey, Minnie, Chip, Dale and Clarice. Heading east to Disneyland in California, and it was announced on the Disney Parks Blog that the Super Hero HQ in Tomorrowland would be closing. Saturday 2nd April will be the last day to meet Spider-Man, Thor and Captain America at the building. However, Captain America and Spider-Man will be moving over to Disney California Adventure the very next day, Sunday 3rd April. Along similar superhero lines, the Parks Blog also announced that the former Avengers half marathon weekend at Disneyland will now become the Super Hero half marathon, and will expand its offerings to include for the first time Dr Strange. Though the blog doesn't specifically say who will appear, it does say there will be "surprises" and that Dr Strange would "host", which makes it sound very likely that Dr Strange will make his first ever Disney Parks appearance! The marathon event will be held from 10th through 13th November 2016, with registration opening on 12th April 2016. Obviously we still have a week until Easter, but it currently looks as though, much to our sadness, that spring will not be retuning to Disneyland Resort this year. We really loved the offerings the past couple of years, with a several month long celebration featuring the VIPs in special outfits and special greetings with the Disney bunnies, including Roger Rabbit. Perhaps they will surprise us next week with something, but at the moment it doesn't look likely, sadly. I had previously posted here on the blog about the arrival of Nick and Judy from Disney's latest smash hit, Zootopia. It had been announced on the Parks Blog that they would appear for greetings at Disney California Adventure and in Move It! Shake It! at the Magic Kingdom. While that hasn't changed, we now have a clearer idea on timeframe. 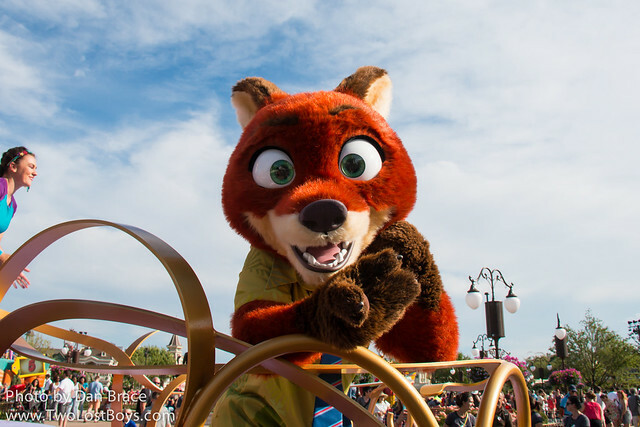 Shawn Slater later confirmed in the comments that Nick and Judy would be around until at least June at DCA, and while there is no firm date on their start in DCA, they would start appearing in MISICI at the Magic Kingdom from next weekend (Easter). Disney entertainment schedules typically start on a Sunday, which means that Saturday will be the last day for the current format. It is expected, though not officially confirmed, that Stitch and Genie would be the ones replaced by Nick and Judy. Saturday is also expected to be Marie's last day in Town Square, with Stitch replacing her the following day possibly at the front of the park (although Tomorrowland is just a good a location for him, of course). There are just two weeks left now for Dream Along with Mickey at the Magic Kingdom, with its last day being Saturday 2nd April. 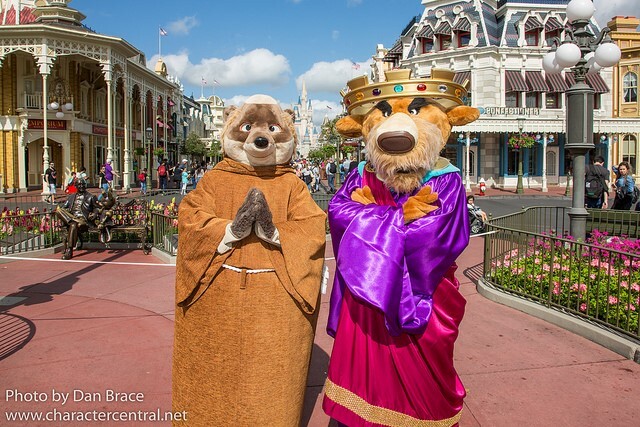 There is still no confirmation as to when the new show, Mickey’s Royal Friendship Faire, will begin. 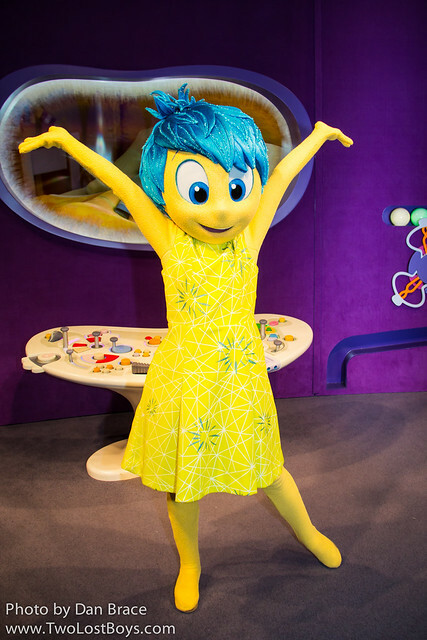 It was also finally announced, much to everyone's huge relief, that Joy and Sadness from last year's hit PIXAR movie Inside Out start greeting guests at the Epcot Character Spot from early April. While there is still no firm date yet (Shawn Slater's comment son the Parks Blog even say as much), it is such a welcome addition - if a little late. Shawn also confirmed that there would be no FastPass+ offered for the new experience. Across the ocean at Disneyland Paris spring season officially started there, with their ever expanding seasonal offerings, including Minnie's Spring Train which for the first time, though rather sporadically, has included the Cheshire Cat! He appeared for the press launch last week, and has made a couple of further appearances since, giving hope to fans that he will become more of a permanent fixture in the park. An Instagram search shows up some good pictures of him, if you're interested. Finally for today, the Parks Blog confirmed that the popular Star wars Days at Sea will return to select Disney Cruise Line sailings in 2017. Ok, that's it for today! If you haven't already, be sure to check out my latest trip report, which can be found in the blog list on the side panel. 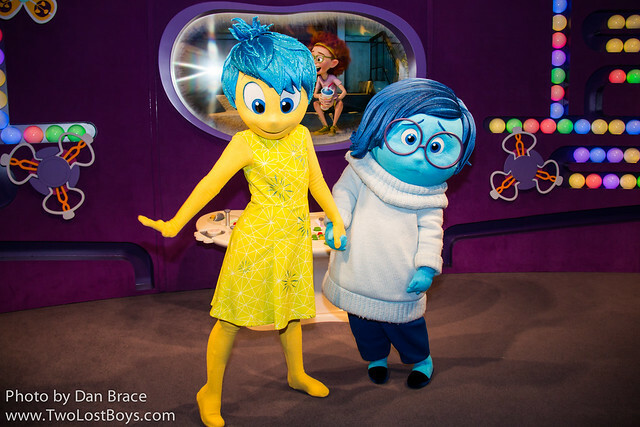 Today the Disney Parks Blog made two announcements regarding character offerings coming to Walt Disney World Resort and Disneyland Resort. 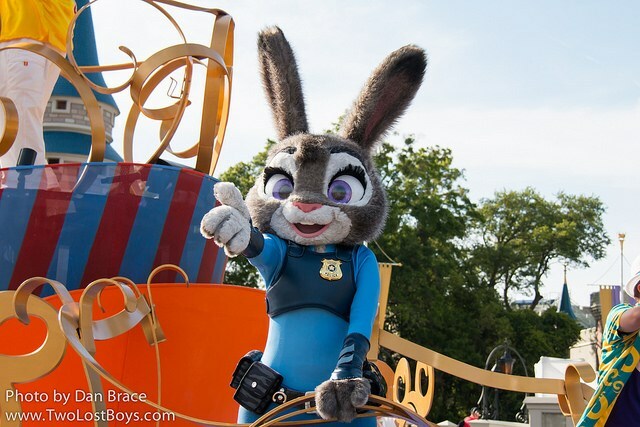 In the first, it was announced that Nick Wilde and Judy Hopps from the latest animated movie, 'Zootopia', would be coming to both Disneyland Resort and Walt Disney World Resort. 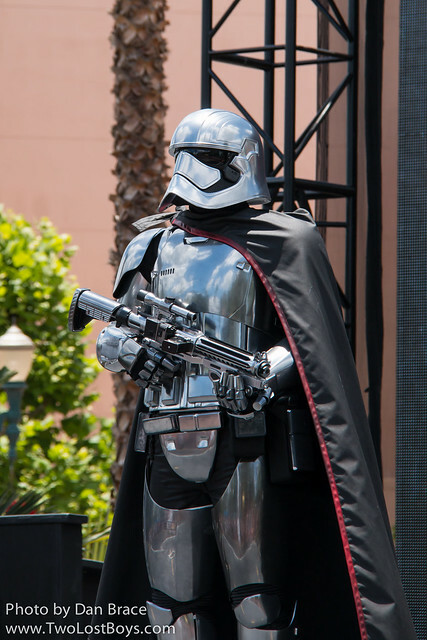 At Disneyland guests will be able to meet the pair on Hollywood Boulevard, at Disney California Adventure. At Walt Disney World, unfortunately, you will only be able to wave to them - and maybe dance, depending on how they use them - from the sidelines, as they appear in Move It! Shake It! Dance and Play It! Street Party at the Magic Kingdom. 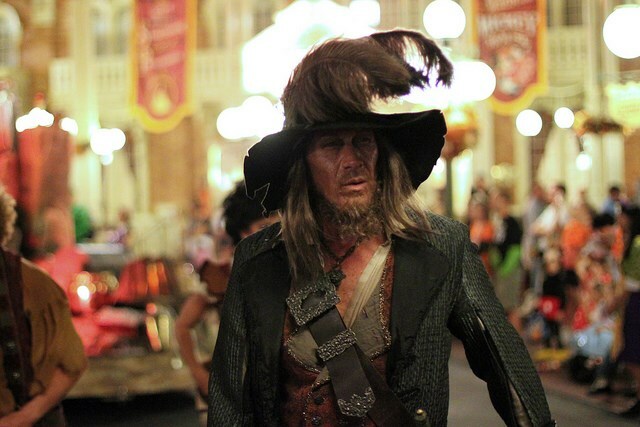 While I generally try to remain neutral here on the blog in most cases, I have to say that it is immensely disappointing that, once again, Walt Disney World are getting the bad deal out of new characters. For example, Olaf has been greeting in Disneyland and Hong Kong Disneyland for what seems like forever now, yet he is nowhere to be seen at Walt Disney World. It is very frustrating that guests to Walt Disney World are going to have to suffer watching the street party in order just to see the characters, when guests in California can meet them. In addition, while the movie comes out this week, we will have to wait until "later this spring" to even see them, whenever that may be! The second announcement is just about as frustrating as the first. 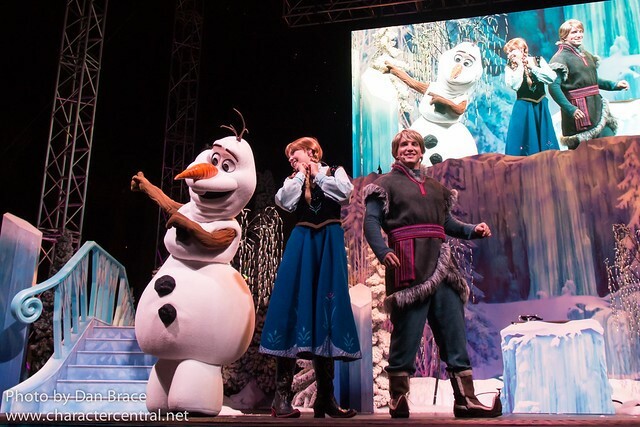 It was revealed that during the "summer" (again, with no definitive time frame given), guests will be able to see Kristoff and Olaf at Disney's Blizzard Beach Water Park, hosting "Frozen Games". 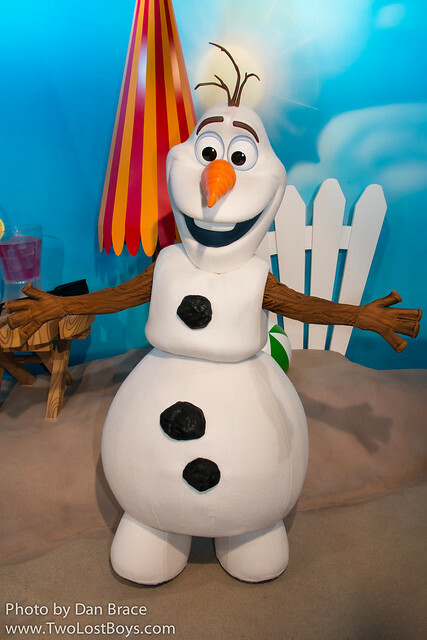 "Guests visiting the waterpark can to join "Team Kristoff" or "Team Olaf" and participate in a variety of activities, including Ice Pail Relays, a Snowball Toss to Ski Pole Limbo and Slide Races. Olaf and Kristoff will join the Winter Games Committee members in the games’ Opening and Closing Ceremonies, and will give updates throughout the games to report on their team’s achievements." Clearly Disney understand that these characters are popular, so why aren't they out greeting? As I said above, meanwhile at the other parks, guests can meet Olaf. I have created a poll for this blog post, which you can participate in by logging onto our forum and clicking on this thread, here. Let's start today's news in Walt Disney World, where this week has seen the start of some unfortunate character cutbacks. At Epcot you can no longer meet Chip, Dale, Tigger, Winnie the Pooh or Princess Aurora, while at the Magic Kingdom Lady Tremaine is on her way out, too. The schedules no longer list those characters, and their spots are empty. Hopefully we will see improvements in other areas in the coming months, and these cuts are just temporary in order to bring new experiences to the parks. Happy New Year and Happy 9th Anniversary Character Central! Guardians of the Galaxy Awesome Mix Live!